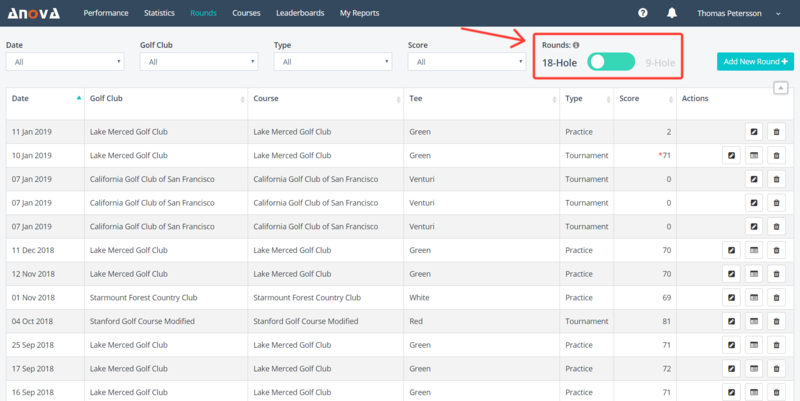 This article deals with the 9-hole rounds list and how the general functionality works. If you are looking for the steps you need to go through to add a 9-hole round, see this article. For more information on merging 9-hole rounds into 18-hole rounds, click here.